Five sites in Jiading district, Shanghai, have been listed among a wider group of Shanghai Historic Landscape Conservation Zone, according to a list released by Shanghai Municipal Government on Feb 6. The sites that have been selected are Jiading West Gate Old Street, Zhouqiao Old Street, Nanxiang Twin Pagodas, Guyi Garden, and Loutang Ancient Town. Here we take a look at what it is that makes these unique cultural treasures worth conserving. 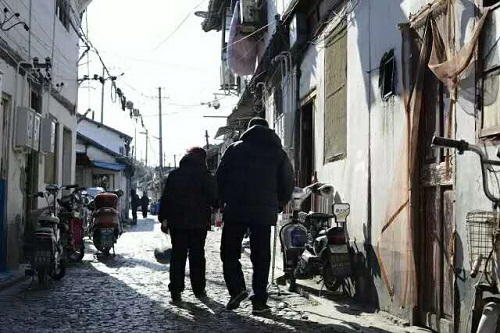 Jiading West Gate Old Street is one of the best well-preserved old alleys in Shanghai's Jiading district and is well known by visitors for its authentic feeling. It has ancient walls that remain in good condition and many traditional residences that evidence the iconic local feature of whitewashed walls and black-tiled roofs.